Sones de Mexico Ensemble is joining with Dominican University and several west suburban libraries to present our signature program “Beyond the Music: A Musical Geography of Mexico”. 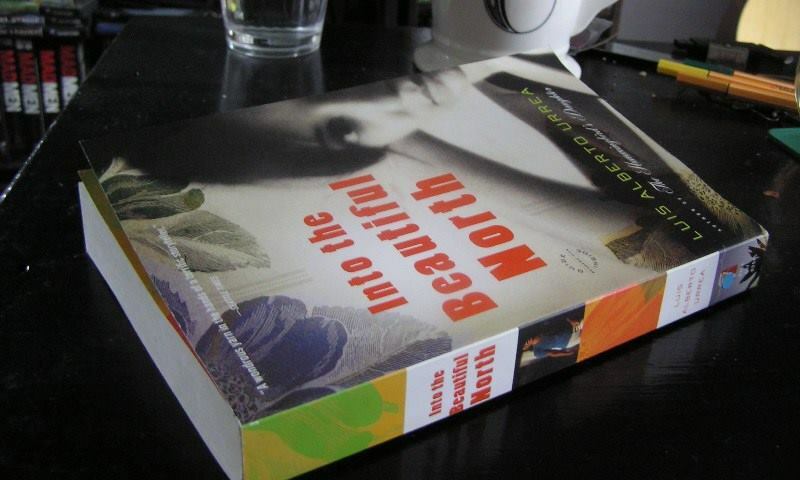 The Big Read is an NEA sponsored program that is focusing on immigration-related issues through the novel “Into the Beautiful North” by Luis Alberto Urrea. The novel centers on 19-year-old protagonist Nayeli, a taco shop worker who lives in Mexico and dreams about her father, who journeyed to the U.S. to find work. Recently, it has dawned on her that he isn’t the only man who has left town. In fact, there are almost no men in the village — they’ve all gone north. While watching The Magnificent Seven, Nayeli decides to go north herself and recruit seven men — her own ‘Siete Magnificos’ — to repopulate her hometown and protect it from the bandidos who plan on taking it over. Beyond the Music is Sones de México’s lively and entertaining lecture and demonstration that musically takes audiences on a trip through many diverse regions of Mexico and the music and culture of those areas. Learn about the roots of huapango, son jarocho, chilango, tapatio and many more. Beyond the Music, A Musical Geography of Mexico, is sponsored in part by a grant from the National Endowment for the Arts.